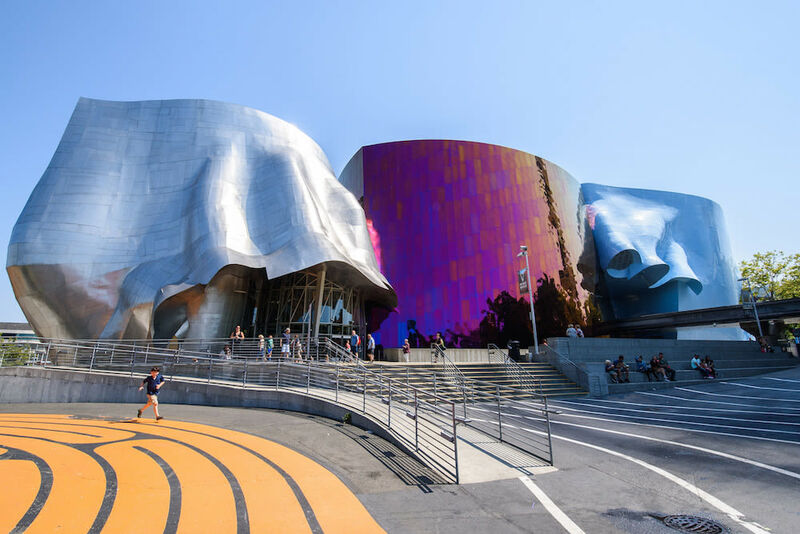 (USKings.us) The Museum of Pop Culture, or MoPOP (previously called EMP Museum) is a nonprofit museum dedicated to contemporary popular culture. It was founded by Microsoft co-founder Paul Allen in 2000 as the Experience Music Project. Since that time MoPOP has organized dozens of exhibits, 17 of which have toured across the US and internationally. The museum—which used to be known as Experience Music Project and Science Fiction Museum and Hall of Fame (EMP|SFM) and later EMP Museum until November 2016—has founded many public programs including "Sound Off! ", an annual 21-and-under battle-of-the-bands that supports the all-ages scene; and "Pop Conference," an annual gathering of academics, critics, musicians, and music buffs. MoPOP, in collaboration with the Seattle International Film Festival (SIFF) presents the Science Fiction and Fantasy Short Film Festival, which takes place annually every winter at Seattle Cinerama Theater. The Science Fiction Museum and Hall of Fame was founded by Paul Allen and Jody Patton and opened to the public on June 18, 2004. It incorporated the Science Fiction and Fantasy Hall of Fame which had been established in 1996 (below). The museum was divided into several galleries with common themes such as "Homeworld," "Fantastic Voyages," "Brave New Worlds," and "Them!" Each gallery displayed related memorabilia (movie props, first editions, costumes, and models) in large display cases, posters, and interactive displays to sketch out the different subjects. "From robots to jet packs to space suits and ray guns, it's all here." Members of the museum's advisory board included Steven Spielberg, Ray Bradbury, James Cameron, and George Lucas. Among its collection of artifacts were Captain Kirk's command chair from Star Trek, the B9 robot from Lost in Space, the Death Star model from Star Wars, the T800 Terminator and the dome from the film Silent Running. Although the Science Fiction Museum as a permanent collection was de-installed in March 2011, a new exhibit named Icons of Science Fiction opened as a replacement in June 2012, at which time the new Hall of Fame display was unveiled and the class of 2012 inducted.